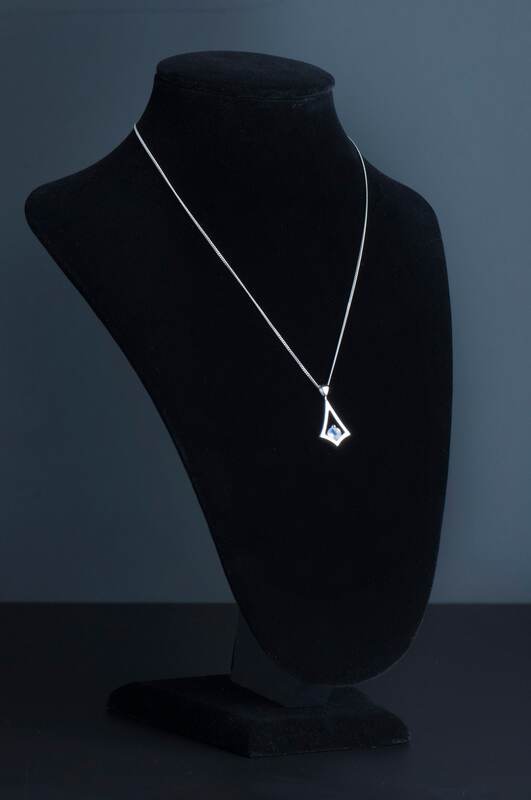 Are you looking for elegant and delicate jewelry for a person who likes minimalist design? 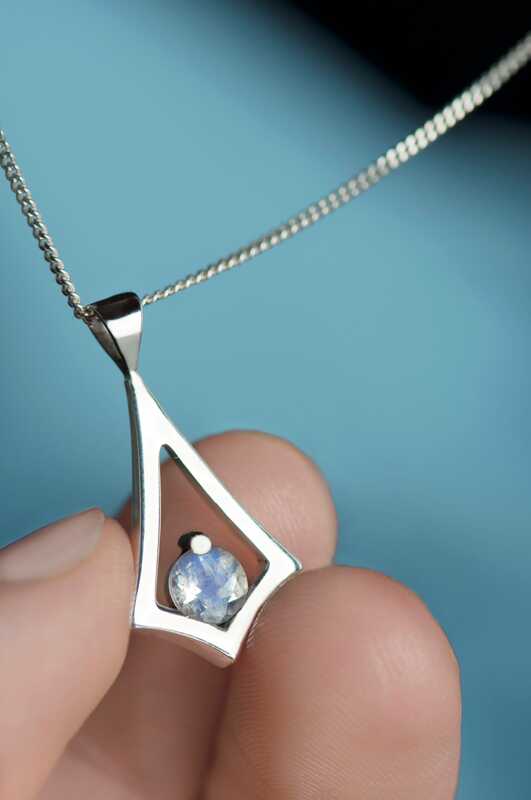 Here is a moonstone necklace in a geometric shape - dainty and subtle but still noticeable. 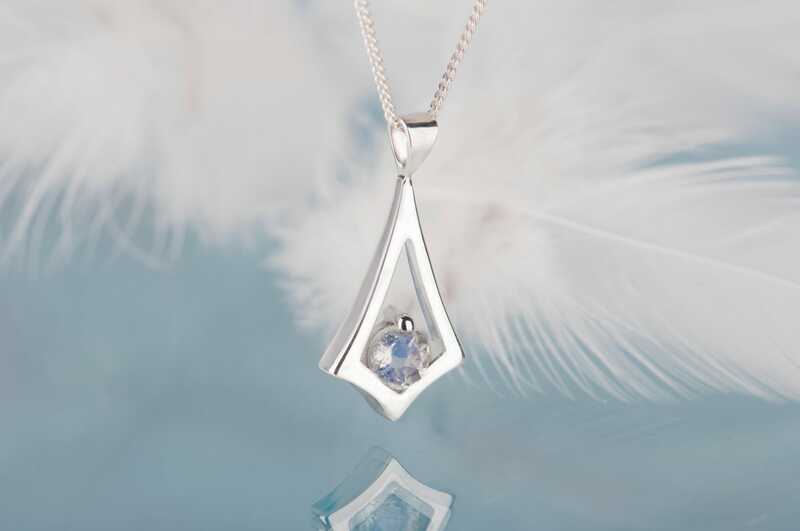 When I was making this moonstone pendant, my intention was to focus on the stone, which is truly charming and beautiful itself, that it doesn't need decorative setting. 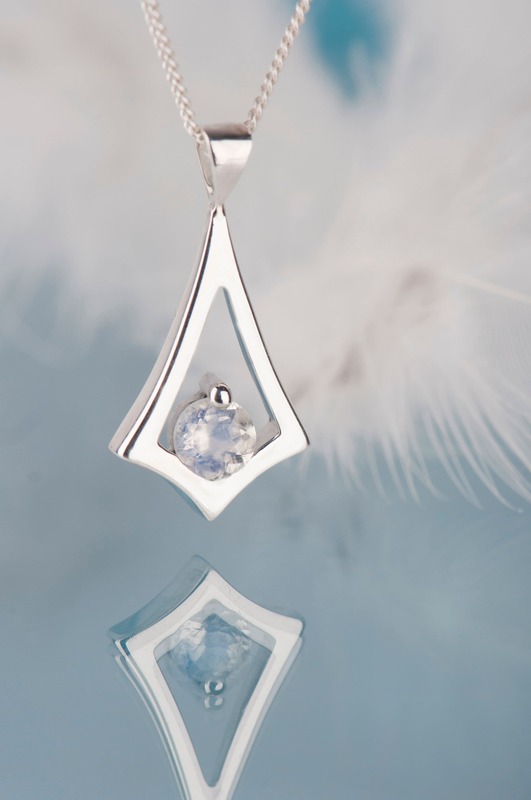 Moonstone is one of my favorite natural stones because of it's changing nature. The way it looks always depends on the angle of light. 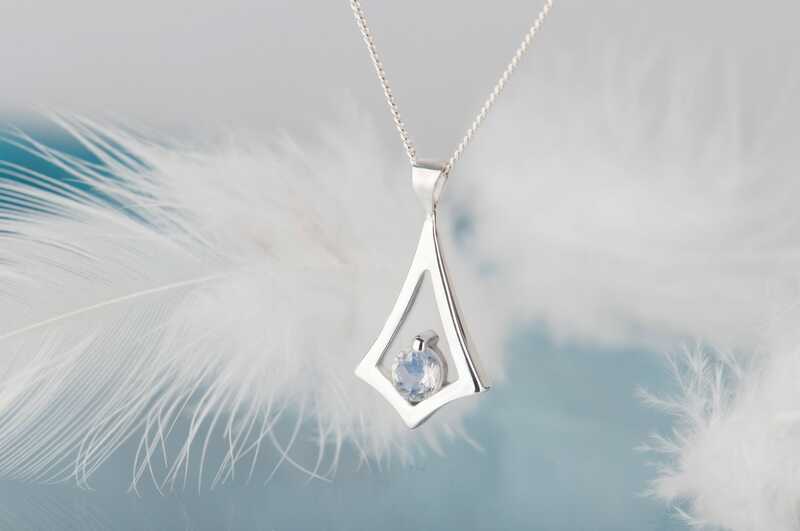 So sometimes it's just an ordinary transparent stone, but unexpectedly it's surface turns into deep or light blue. 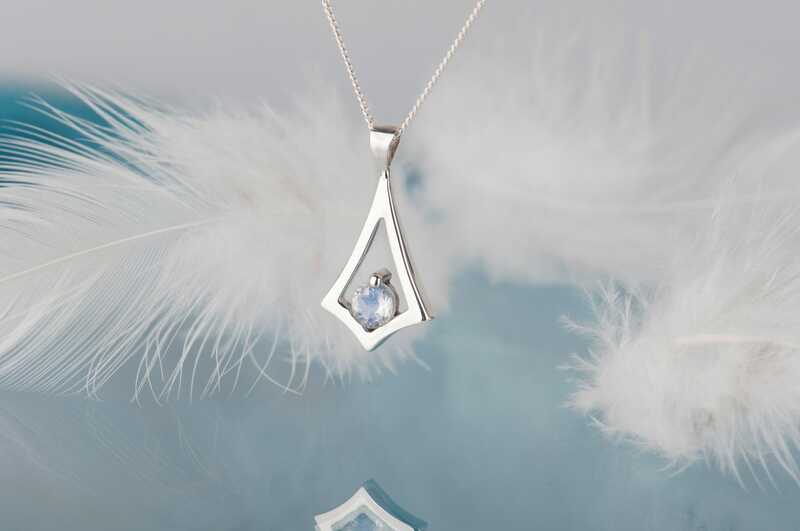 That's why moonstone jewelry is always great choice as a gift for a woman who admires unique items. * Chain: you can choose the chain type and length on checkout. 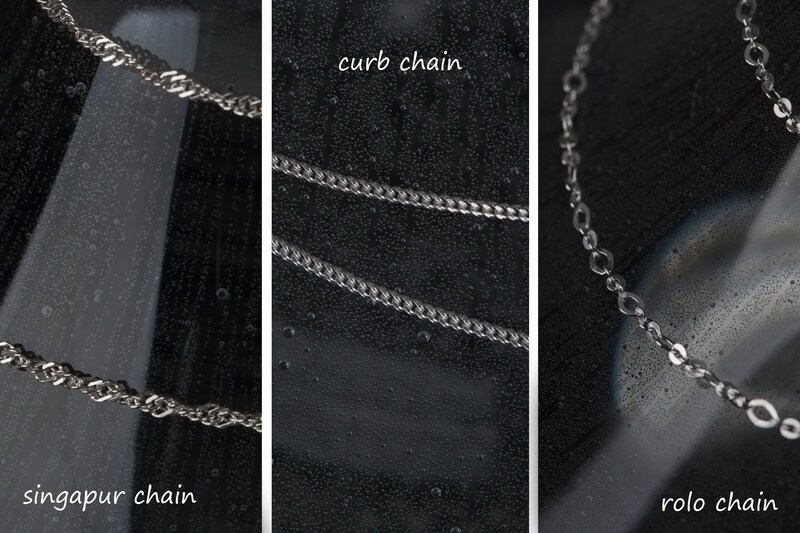 There are three types of chains in my shop (you can see them on the photo). If you want to look up closer you'll find links below with more photos. If you wish to order another type or length I didn't mention, please send a message to me. This necklace is handmade and I need up to 7 days to make it ready. 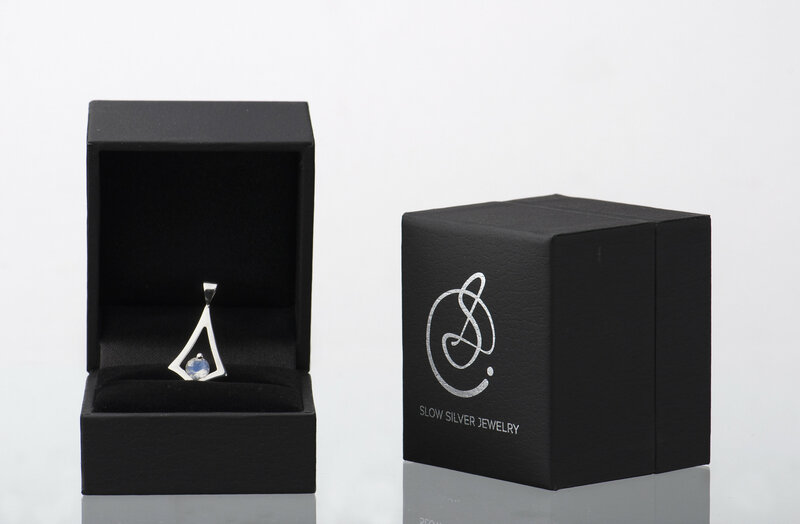 It will arrive in a black jewelry/gift box. Because of the handmade nature of the item and uniqueness of every moonstone I won't be able to make two identical necklaces - please keep that it in mind while placing the order. 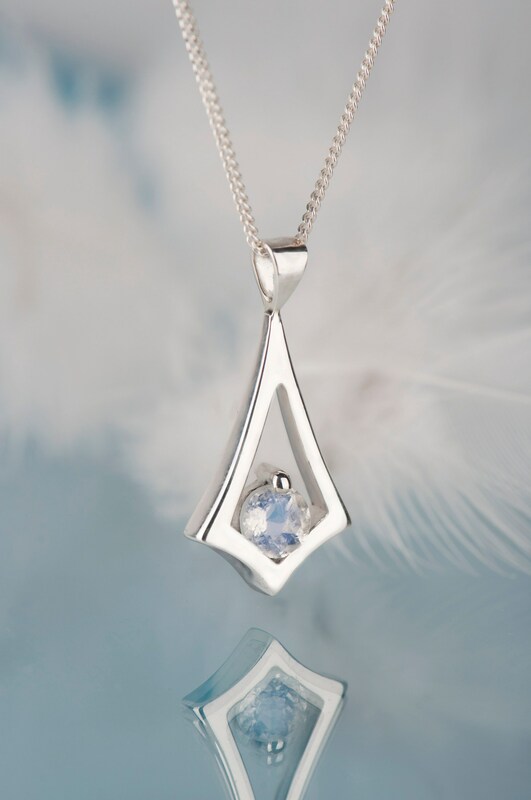 If you wish another stone instead of moonstone just let me know - I have many stones in this shape and size, so there won't be a problem for me to replace it. If I won't have the stone you desire in my workshop I'll do my best to find it and order as soon as possible. If you want to know the details please send me a message.